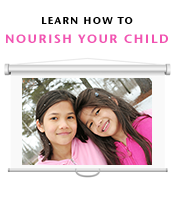 As a Certified Nutrition Consultant, a long time presenter and supporter of Nourishing Our Children, and member of the Weston A. Price Foundation, I’m excited to be able to share the topic of food and nutrition for autism during Autism Awareness Month. However, I don’t simply want to share “awareness” of prevalence of autism. Yes, autism has increased from 1 in 10,000 when I was a kid, to 1 in 50 today, but my intent is to share WHAT autism is and what you can do to help children affected! As we shift the paradigm of autism from a fixed, permanent condition, to understanding it as a whole-body disorder – we realize there are many things we can do to improve health and behavior – beginning with nourishing food! In this community, the power of nourishing food is understood, and the GAPS™ diet is well known and applied greatly for autism. But there’s more to it. In this article I’ll share my experience of food and nutrition for autism, and let you know that if the GAPS™ diet is not “working” as you’d hoped, there are further ideas and diet principles to consider. A similar version of this article was originally published at Nourishing Hope. Extensive scientific research indicates that children with autism suffer from gastrointestinal disorders more than do neurotypical children ,. We also know that there is an increase in “leaky gut,” or gut permeability in autism ,, and that those with GI issues may not have enough carbohydrate-digesting enzymes (key rationale for to the GAPS™ diet) ,. One study by Dr. James Adams demonstrated that ASD children had greater incidence of GI disorders and an imbalance of good bacteria; and that gastrointestinal symptoms correlate with autism severity . It’s because of these underlying circumstances and observations that the GAPS™ Diet is so highly warranted as a dietary approach. The GAPS™ Diet is fundamentally helpful for gastrointestinal inflammation, dysbiosis, and digestive disorders. The GAPS™ diet was created by Dr. Natasha Campbell-McBride and is based on the Specific Carbohydrate Diet (SCD). SCD was popularized by Elaine Gottschall who notably helped heal her daughter of ulcerative colitis through very strict dietary intervention; she brought SCD to the autism community. The GAPS™ Diet calls for the avoidance of complex sugars and starches such as all grains, potatoes, and sugar except from fruit and honey (that require carbohydrate-digesting enzymes)—and focuses on ingestion of monosaccharide carbohydrates (that do not require carbohydrate-digesting enzymes). Monosaccharides are single sugar carbohydrates such as fructose and glucose found in fruit and non-starchy vegetables. Eating this way reduces undigested sugars and starches in the gut, things that most pathogenic microbes (like bad bacteria) feed on. This breaks the cycle of feeding pathogens and the inflammation and digestive disturbance they cause, and allows the body to receive nutrients from the carbohydrates it can better digest (monosaccharides). When you remove the substances causing a problem; you can reduce digestive discomfort, improve digestive capacity, and support healing of the gut – all of which can have positive affects on autism and neurological disorders. However, it’s frustrating to hear/read comments like, “GAPS™ is the only diet that will heal the gut,” or “GAPS™ is all you need to do—you don’t need to worry about other things (i.e. salicylate, oxalates, etc.) if you’re doing GAPS™.” This simply is not true. In my opinion, GAPS™ is an outstanding diet. Dr. Campbell McBride synthesizes tremendous research and personal experience in bringing forward a useful strategy for so many people. However, it is not the only diet that heals. Just today, a client that followed GAPS™ for two years received some lab tests that helped explain her lack of results. Based on this new biochemical data, she wanted to switch to a new diet. But she was hesitant because she had heard that GAPS™ was the best healing diet. She asked me, “Have you ever seen a child heal on a diet other than GAPS™?” My answer, “Absolutely.” Different diets are right for different people. There is no “one-diet-fits-all.” Because of their biochemistry or health condition, I’ve found some people require a different diet, others benefit from employing additional dietary principles with a GAPS ™Diet. Following GAPS™ can set a foundation from which to include further diet and nutrition elements required for your specific health condition. As a nutritionist that works with all specialized diets (not just the GAPS™ diet), I have a unique perspective into the varied dietary factors that influence physiological reactions and symptoms—clients (and doctors) seek me out specifically for my “knowledge base” and clinical experience in this area. I work with low salicylate/phenol diets; including the Feingold diet and Failsafe diet, the Low Oxalate Diet, yeast diets, low FODMAPS (an acronym for various fermentable carbohydrates) diet, gluten-free and casein-free (GFCF), and grain-free diets from Paleo, to GAPS™ and SCD. I have years of experience helping identify food compounds that can cause reactions. Salicylates can cause red cheeks and ears, hyperactivity, irritability, aggression, sleep challenges and more. Amines and glutamates can cause migraines, anxiety, pain, crying, hyperactivity and similar symptoms to salicylates. FODMAPS [Fermentable Oligosaccharides, Disaccharides, Monosaccharides And Polyols] can cause digestive upset. Oxalates can disrupt cellular function, affect energy, and cause pain, inflammation and oxidative stress—if they get out of the gut and into the cell. While improving the gut and subsequent biochemistry often improves tolerance of foods like high salicylates such as grapes, apples, berries and spices, it is sometimes essential to remove the salicylates to reduce the body burden and build up the sulfate pool (sulfur reserves). If you don’t consider this, the GAPS™ diet alone may not be sufficient to address salicylate/phenol intolerance. For most of us, avoiding extremely high oxalates is prudent. Spinach can have 700 mg of oxalate in 1 cup of steamed spinach —10 times more in one serving than some people eat in a full day. This is enough oxalate to bind and inhibit mineral absorption (calcium and magnesium) in the whole meal. When the gut is leaky, oxalates are much more likely to get through and enter the bloodstream, especially when they are not bound to minerals. Once in the bloodstream, they can get inside the cell and create inflammation, oxidative stress and negatively impact mitochondrial function (conditions common in autism). Being cognizant of oxalate intake (like spinach) in the early stages of GAPS™ is important, and some people may need to be avoid high oxalate foods (like nuts) long term. Oxalates and these other food compounds should be considered on any healing diet. Learn more about oxalates. I’ve also noticed a disturbing trend of people following a “low carbohydrate” GAPS™ diet. This concerns me. Problems can arise and one can get too low in carbohydrate, when people start cutting out more and more sugars than prudent. The GAPS™ is a specific carbohydrate diet not a low carbohydrate diet. Learn more about what could be affecting your GAPS™ success, and discover ways to take your healing to the next level. In March, I led a 90-minute online session for my Nourishing Hope Support Club titled “The Gaps in GAPS™.” I shared my experience with hundreds of clients/families and want you to benefit from the knowledge – so you can avoid making similar mistakes! Here’s what I covered in Gaps in GAPS™? How do I determine if phenols, oxalates, or FODMAPS are a problem for me or my child? Should I avoid fruit? Does it feed yeast on GAPS™? Am I eating too many or too few carbs? Do I need to do this diet for life? The Nourishing Hope Support Club is the only group of its kind; designed to support and bolster the success of those following specialized healing diets. Join by April 10, and you will receive the “Gaps in GAPS™” session for free and be able to join us for the April topic on “Oxalates and the Low Oxalate Diet.” Use the discount code NOC13. Join and learn more about the Support Club. Do you have a child with autism? What have you found effective or ineffective in addressing the symoptoms? Julie Matthews is a Certified Nutrition Consultant specializing in autism, ADHD, and healthy pregnancy and babies. She is the author of the award-winning book, Nourishing Hope for Autism and founder of Nourishing Hope. Buie T, et al. 2010. Evaluation, diagnosis, and treatment of gastrointes- tinal disorders in individuals with ASDs: a consensus report. Pediatrics 125 (Suppl. 1):S1–S18. Adams JB, Johansen LJ, Powell LD, Quig D, Rubin RA.2011. Gastro- intestinal flora and gastrointestinal status in children with autism— comparisons to typical children and correlation with autism severity. BMC Gastroenterol. 11:22. D’Eufemia P, et al. 1996. Abnormal intestinal permeability in children with autism.ActaPaediatr. 85:1076 –1079. deMagistris L, et al. 2010. Alterations of the intestinal barrier in patients with autism spectrum disorders and in their first-degree relatives. J. Pediatr. Gastroenterol. Nutr. 51:418 – 424. Horvath, Karoly, et al. “Gastrointestinal abnormalities in children with autistic disorder.” The Journal of pediatrics 135.5 (1999): 559-563. Williams, Brent L., et al. “Impaired carbohydrate digestion and transport and mucosal dysbiosis in the intestines of children with autism and gastrointestinal disturbances.” PloS one 6.9 (2011): e24585. 8 Responses to The Possible Gaps in GAPS™? Thank you for one of the best blogs I have read in a very long time! Certainly not everyone has exactly the same needs in a diet program. 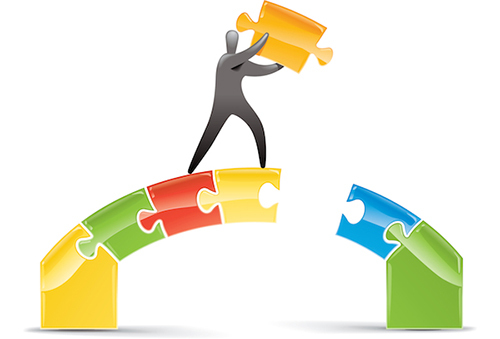 GAPS™ is wonderful, but consider the individual needs. Thank you for this Ella! I appreciate the feedback. Wonderfully thorough post, Julie. We simply must be cognizant of biochemical individuality with everyone. Thank you for laying this out so beautifully! What are your thoughts on eliminating GMOs? How do you feel this affects the gaps in GAPS? We are at the beginning of this journey and keep reading about GMOs and how this can be contributing to the Autism rates. I think people should avoid GMO. Fortunately, this is not a “gap” in GAPS as this diet would be very against consuming them too. Great article! Do you have any further reading – articles, books, etc – that you can recommend? A child advocates for organic farming and reaches over a million people!